Additional receiver for the wireless models. 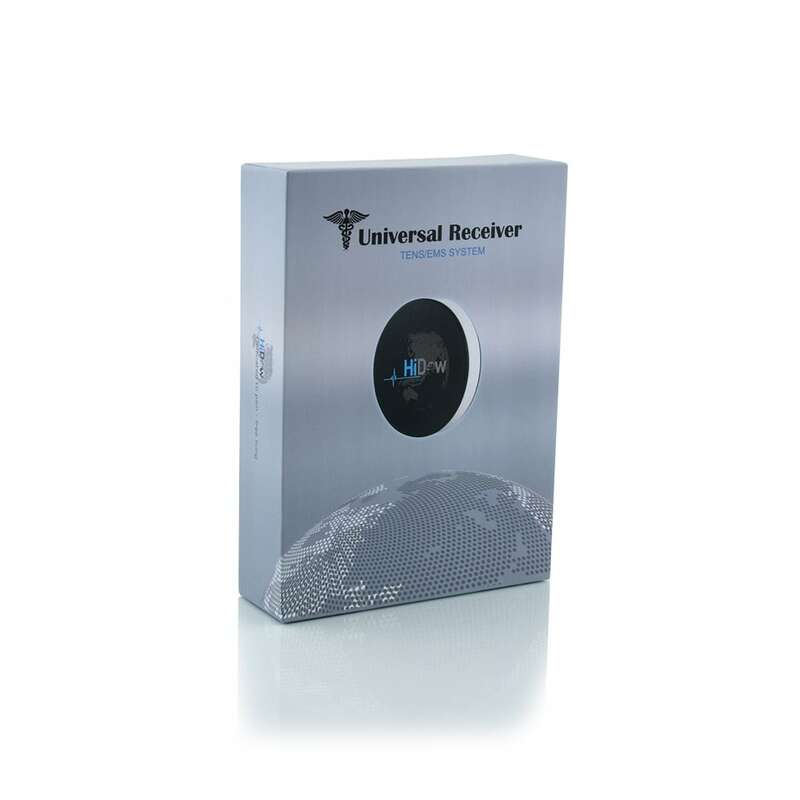 This receiver is universal and can be easily synchronized with the Pro Touch 6-12 and the Wireless 4-9 in order to extend the number of channels for one device. The Pro Touch allows 6 receivers and the HiDow Wireless 4-9 will run 4 receivers on one remote. Works with wireless remote models only. There are many benefits to a wireless TENS unit. Use it while you’re having a cup of coffee or going for a walk. But over time, your wireless receiver can become worn out after normal wear and tear which calls for a new one. Don’t pause your pain management solution. Replace your wireless receiver today, and have it delivered immediately. Our products are game-changing devices that work to relieve pain. With the help of Transcutaneous Electrical Nerve Stimulation (TENS) and Electrical Muscle Stimulation (EMS) technology, you can address aching muscles with a touch of a button. For years, physical therapists, doctors, personal trainers, and chiropractors have been recommending these products as a pain management solution. Say goodbye to chronic pain and take control of your life with our fast-acting solutions that reduce your visit to the doctor. Using your HiDow device, you can address muscle and joint pain wherever you may be. Finally, a pain management solution without side effects and medication! Our wireless devices give you the freedom to do whatever you want without having to pause your daily routine carefully designed this innovative technology to provide you with optimal results. Recover faster with our TENS and EMS units now! Replace your wireless receiver today.